Who was Cochise and why was this Native Indian chief famous? Summary: Cochise (c.1812–1874) was a famous chief of the Apache Indians. He led his band of Chiricahua Apaches against United States troops in Arizona in an uprising that began in 1861 during the Apache Wars. The conflicts were over the settlers expansion into Apache tribal lands. The following fact sheet contains interesting facts, background history and information about the life of Cochise and the events in history that led to his fame as a great Native American Indian leader. Cochise was one of the Apache Indian chiefs who resisted the invasion of both Americans and Mexicans to Apache lands. Cochise was born in the year 1804 and lived in the county of Chiricahua. Cochise's name meant having the qualities or the strength of oak. Cochise was part of a tribe known as the Chircahua Apache Indians who lived in what is now Mexico and Arizona. This was a place which was occupied by Spaniards and the Mexicans. There were hostile forces within the Native Indian tribe as they never really liked being ruled over by foreigners to their land. During these times, the Apache continuously won over their opponents. The Spaniards imposed the Galvez Peace Policy on the Chircahua Apache Indians in 1788 which attempted to make the Native Indian tribe dependent on the Spaniards. The Apache were rationed with liquor by the government and with poor quality firearms. The Mexicans then took the region from the Spaniards and did not have enough resources to continue the policy which led to conflict between the two factions. The strategy that the Mexicans employed included harming innocent civilians of the tribe and along the way they were able to kill Cochise’s father. A fierce retaliatory expedition was launched which resulted in the capture of Cochise. He was eventually released through a trade for at least a dozen civilians of the Mexican government. In 1836 Cochise participated in a peace treaty at Arizpe, Sonora in Mexico. There was a uneasy peace and in 1847 Sonora was attacked by the central band of Chiricahuas. Cochise is believed to have been in this band. Then, came the Americans who started to encroach into Apache territory in the year 1850, the start of the Apache Wars (1850 - 1900). However, but it was not until 1860 when the battle between the two factions really exploded. 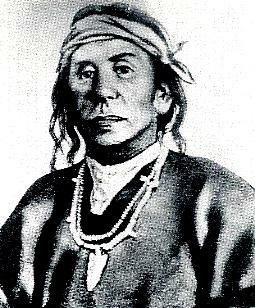 Hostilities were prompted by an Apache raid at John Ward's ranch near Fort Buchanan during which his stepson, Fellix Tellez, was kidnapped. John Ward reported the incident and named the leader of the Native Indians as Cochise. The United States soldiers acted immediately on the report under the command of Lieutenant George Bascom. Cochise and the "Bascom Affair"
January 28, 1861 Lieutenant George Bascom invited Cochise and several of his best men into their camp for a friendly dinner. Cochise had complied with the request, believing the soldiers knew, as he did, that a band of Coyoteros Apaches had kidnapped the boy, and that the Chiricahuas had nothing to do with it. Cochise and his men were arrested. Bascom informed Cochise that he was under arrest, to be held as hostage for return of the child. Cochise defended his case and told the soldiers that he did kidnap anyone, but they refused to believe him. Cochise was able to escape by boring a hole through the tent in which he was held in. Bascom then ordered the hanging of six Apache prisoners. Cochise never trusted a white man again. In 1862 the murder of Chief Mangus Colorado (Red Sleeve) and the mutilation of his body only increased the hostility between Apaches and the United States. After his escape, Cochise led the Apache Indians that were under his control and increased the number of raids against United States settlements and camps. Hundreds of civilians were killed and others, fearing for their lives evacuated from their houses. Then came the famed ambush of the California Volunteers in Apache Pass on July 15, 1862. Unfortunately for the Indian tribe, the American soldiers brought out their artillery guns (howitzers) which forced them to retreat. Cochise was not daunted by the heavy artillery and in 1863 he was made war chief of the Apaches. He fought stubbornly against the Americans targeting settlements, stagecoaches and mail carriers. In 1867 a brave mail contractor named Tom Jeffords had the courage to ride into Cochise's camp to ask for a personal treaty. Cochise was so impressed by the man's courage that he honored the request. After that, mail carriers were never molested, and Tom Jeffords and Cochise became close friends. In 1872 the United States government represented by General Otis Howard sought to pacify the Chiricahua Apaches and Cochise by assigning them a reservation in their Dragoon Mountains homeland, Cochise agreed provided that Tom Jeffords was appointed agent. Two years after the peace agreement was settled, Cochise suffered a disease which was believed to be stomach cancer and died on June 8, 1874. His remains were secretly buried in a place deep in Dragoon Mountains along with his weapons. In 1876 the Chiricahua's reservation was terminated and the people were forced to move. It was Geronimo who then became war chief and continued the war with the white settlers. A decade after his death, Cochise’s innocence was proven when the kidnapped Fellix Tellez appeared and worked for the U.S. Army. He said that it was a Western Apache tribe that kidnapped him and Cochise was not part of it. Fellix Tellez served the American Army as a scout who spoke Apache. Cochise was at last exonerated.